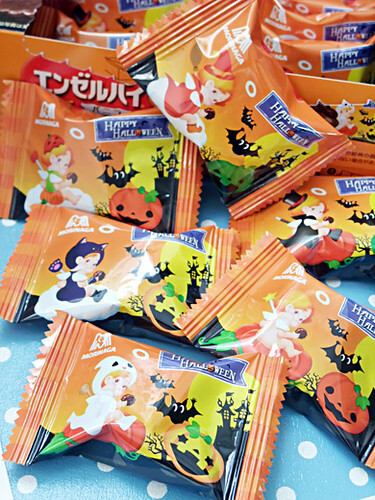 Recently we can easily get cute packaged snacks & sweets for Halloween! 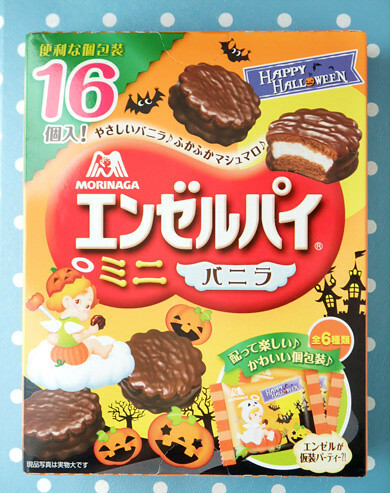 Morinaga Angel Pie is the famous casual marshmallow sandwich covered with chocolate. The angel is naked most of the time, but yes, let’s try some cos-play for Halloween! The angel is also symbol of the company, Morinaga. Huum, it looks so yummy!!! !